The ACT Science test usually gives students a lot of trouble – here is some advice on how to improve from 21-36 on this tricky test. This is not primarily a test of science content – but there are some factoids you need to know. This test is not a test of biology, chemistry, physics, earth science, and other science you’ve learned in school – at least, not directly. You don’t need to remember everything you’ve learned from those classes; instead, you need to know how to reason and solve problems scientifically. This test is really just a test of scientific reading comprehension and analyzing and drawing conclusions from graphs, tables, charts, and experimental procedures. Just like with the Reading, almost everything you need is in the passages – so search carefully! Unlike the Reading, occasionally there are questions that require a bit of outside knowledge – for example, you need to know that pH values less than 7 are acidic, greater than 7 are basic, and equal to 7 are netural. These factoids – along with a ton of strategies to tackle the ACT Science section – can be found in the ACT Science Bootcamp. Get used to the passage and question types. The ACT Science typically contains three types of passages: Data Representation (usually 5 questions), Research Summaries (usually 6 questions), and Conflicting Viewpoints (usually 7 questions). They are not in any special order – typically you’ll see three 5-question sections, three six-question sections, and one seven-question sections, but that has been strictly true on some recent tests. In addition, while the questions aren’t in any kind of order , there is a logic to approach the questions in an effective way. For the core strategy for tackling ACT Science, as well as the answer to the common question, “Should I read the passages first or go straight to the questions?”, check out the ACT Science Bootcamp. The biggest obstacle separating students from their target score is the limited time you’re given to read through seven passages and answer forty questions. Thirty-five minutes is just not enough time to do all that work comfortably, so you will have to keep the pace up if you hope to finish the test. One way to maximize your time usage is to do the questions in an efficient order. Here’s the key point: doing the questions in the order they’re presented – 1, 2, 3, 4, 5,…, 39, 40 may seem the “easy” and “natural” way to tackle the test, but I guarantee that if you do the questions in this order, you are doing them inefficiently! Instead, you want to attack the questions from specific (e.g. those that reference a specific table or graph) to general (questions about the experiment as a whole). This allows you to pick apart the passages in an orderly way while also allowing you to get a better grasp of the passage as a whole so that you can answer the general questions after you’ve completed all the specific ones. Another tactic is to use a strategy I call “Circle & Return.” The point of this strategy is to ensure that you’re using your limited time to the best effect by doing all the “easy” questions before you invest a ton of time into the hard questions. This strategy is especially important for the Science section, where students often find themselves getting bogged down on a question in the middle of the test because they feel they “have to” finish it before the move on. This goes back to what I mentioned above – if you’re not skipping around within a section and are simply doing the questions in order, you’re likely being inefficient. Here’s the basic idea: Whenever you come upon a a) problem that is difficult and can’t be answered immediately, or b) a problem that you can answer but requires more time to confirm the answer, don’t spend the time during the middle of the test working that single problem. You don’t have the luxury to get bogged down in a single question, especially if it’s at the beginning or middle of the test. So bubble in the answer you have up to this point (if any), circle the question in your test booklet, and return to it after you’ve completed the ACT Science section. This will ensure that you’ve completed all the other questions, and any other time you have remaining can be used cleaning up these circled questions. This may not sound like much of a strategy, but trust me: it’s absolutely critical to doing well on the ACT Science section. If you find yourself running out of time consistently, it’s likely that you’re spending a disproportionate amount of time on a few difficult questions. You need to identify those questions that are going to be difficult & time consuming, circle them, and come back to them later. You can’t afford to spend even TWO minutes on a single question if you want to finish the test! Take practice ACT Science tests. The only reliable way to improve on this section is to work real ACT Science practice problems. It’s best to do these questions as part of an entire section (or even an entire ACT test), and you must do them under the time limits (35 minutes). 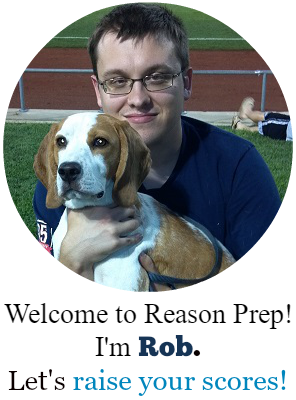 You can download four real ACTs here in addition to learning more about the ACT Red Book, a source of another five real practice tests from the makers of the ACT. 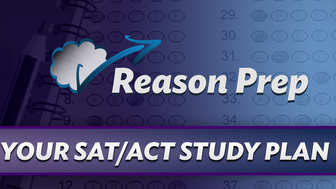 Video solutions for the four real ACTs can be found in the ACT Science Bootcamp; you can also find question-by-question, choice-by-choice solutions to the five Real ACT Prep Guide (Red Book) tests here. Once you run out of real tests, you could move on to “third-party” sources like Princeton Review, Barron’s, etc. But be careful with those resources, especially for Science practice. These books try their best, but it’s simply very difficult to produce passages and questions that closely align with the ACT’s style. This is not to say that you shouldn’t use them at all, but only use them A) when you’ve run out of real tests, and B) with the knowledge that they’re not perfect models of the real test. Having an expert ACT tutor or teacher help you identify questions and answer choices that are inaccurate is a good way of using this material without getting hung up on the differences. The ACT can be self-studied, but many students find that getting some extra help from a knowledgeable teacher, tutor, or friend can make a big difference. Feel free to contact me with any questions you might have. 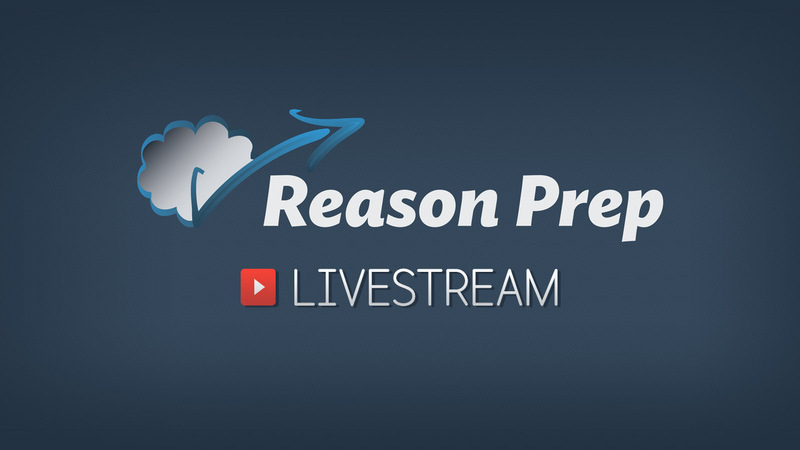 You also might be interested in becoming a member of Reason Prep for full access to all the ACT Study videos and resources. You can learn more about the Members Area here.